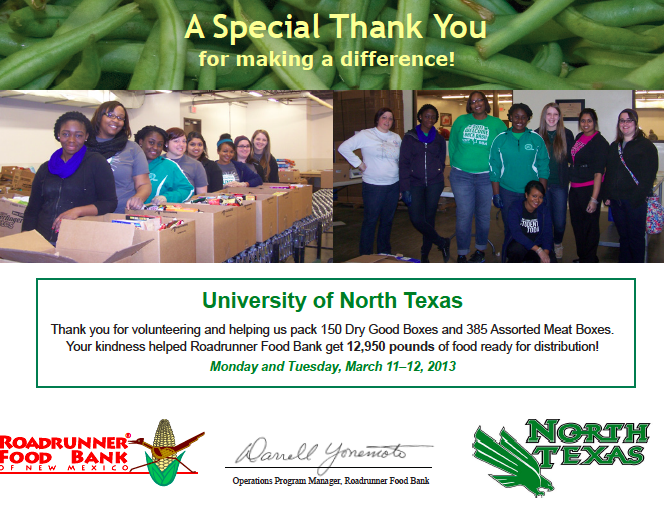 During the University of North Texas (UNT) Spring Break (March 11-15) I joined a group of undergraduate students on an Alternative Spring Break (ASB) road trip for some service learning in New Mexico – #asbABQ13. The focus for our volunteering was around the theme of homelessness, so we logged some time at the Roadrunners Food Bank and moving furniture for the “Helping Hands” with the Metropolitan Homelessness Project in Albuquerque, NM (#asbABQ13). You may recall our Student Launcher website (that is still open – hint, hint): http://StudentLauncher.org/9cab [Closes March 28, 2013]. 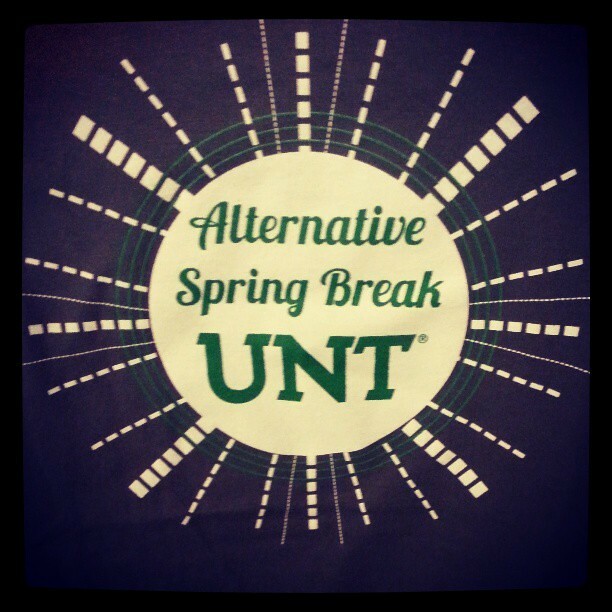 We were one of the many UNT Alternative Spring Break trips created for students who want to give back to their community and participate in a service learning while away from academics. It has also been a very enlightening week for the group as it was the “1st” time for ASB participation & volunteering, visiting the state of New Mexico, travelling without family, or evening being on top of or even seeing mountains. The ASB trip’s focus was on homelessness and socio-economic issues facing the US today – specifically around the distribution of wealth reality. During the week our group packed boxing of meat, moved furniture, sorted linens/donations, organized breakfast boxes, and more. Most the week’s work confronted a number of students with what it meant to do more with less. The final day of service impacted the #asbABQ13 team the most, since we were meeting recently placed tenants when delivering furniture to their new dwellings. The students learned that many of the new tenants had been living on the street anywhere from 5 to 30 years, and often dealing with medical needs and other issues. The final day did involved a great deal of physical work; however the heavy lifting was rewarded by the smiling faces of new residents. 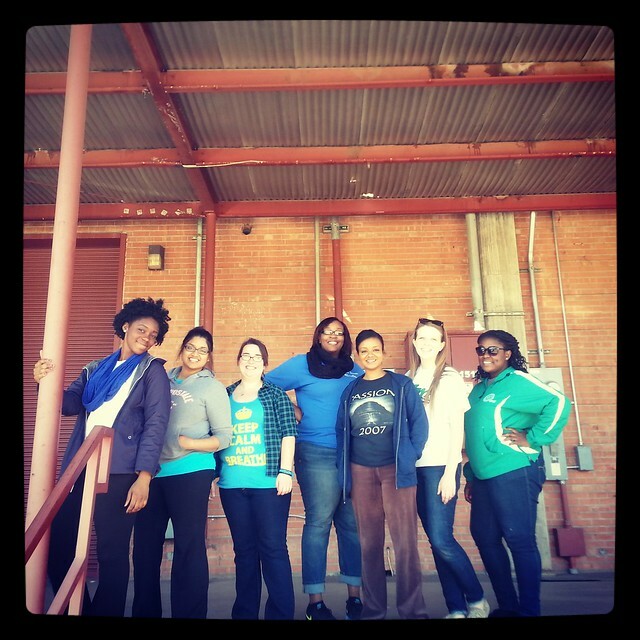 Thanks for a great week in New Mexico Team #asbABQ13: Suliat, Lasha, Alyssa, DeDe, Asmara, Briatni & Irene!